Andrea led the spin out of her team from Kingston’s Adult Social Care in 2012 to create Balance CIC. 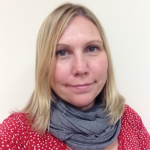 Andrea developed and shaped three services all aimed at improving the lives of disadvantaged people whilst in the council. Since 2007 she has secured ongoing funding from external funding bodies to provide employment support for people with mental health conditions. She also established a bespoke service for adults with Asperger syndrome, one of only a few in the UK. Andrea has a strong track record in developing services and sound leadership and people management skills. She has a creative and innovative approach to developing services and understands the client groups served by the services managed. She has demonstrated the ability to manage budgets effectively, creating savings when required. External funding has enabled her to establish and develop new projects to meet previously unmet needs within the borough of Kingston. Jeanette currently holds the position of Global Head Human Resources for Novartis Animal Health Division and Corporate Social Responsibility. A key focus of this role has been developing future business leader talent, promoting the diversity and inclusion agenda within the Animal Health division and utilizing cross-business learning and development opportunities for staff. Jeanette’s career started as a Pharmacist working in both the retail and hospital sectors, she joined a predecessor to Novartis in 1979 and has held roles in commercial line management and generalist and specialist HR functions in the company. Jeanette worked for 3 years as Global Head of Human Resources, Consumer Health division until 2011 when she took on her present role. David Lennie is a partner in a high street firm of solicitors in Ashton-Under-Lyne, Greater Manchester specialising in property wills and probate. voluntary and community organisations in the Stockport and Tameside areas. Prior to his involvement with Pure Innovations he was vice-chair of Tameside College for several years. David is a sports enthusiast having a long involvement with Stockport Basketball Club both in an administrative and coaching capacity. 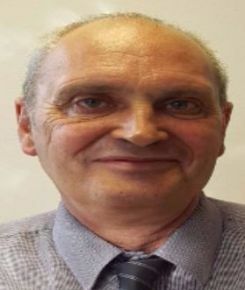 Alan has worked in Social Care for 45 years in a variety of capacities. He started his career as a support worker in care homes for people with a learning disability before qualifying as a social worker. Alan has managed Care Homes and has been a care manager prior to moving into training and consultancy for the care sector. Retaining a strong interest in services for people with disabilities Alan was pleased to have joined the Balance Board to continue to use his experience and to support the aims and values of the organisation.